Every novelist must tune out certain voices in order to write: withering critiques from weary instructors, rejection letters from unmoved editors, eager inquiries from airplane seatmates about how one compares to Dan Brown or Stephenie Meyer. For me, during the writing of my first novel, my grandmother’s voice was the loudest. It came to represent hundreds of voices questioning my identity, my agenda, my right to say anything at all about the country where my story took place: that oft-analyzed land of my ancestors, China. My grandmother is ninety-two and the cherished matriarch of my family, but even before she learned that my novel was set in her homeland, before she knew anything about it other than that I was writing it, calling her had become an ordeal. Her idea of conversation is what most consider interrogation. To most of the world, these questions might seem reasonable. Novelists aren’t reasonable creatures. We need to live in a state of suspended disbelief, in which our characters breathe, their stories are vital, and we were put on this earth to write them. Those questions kill that dream, and when I first started working on my novel, I’d also started training my family and friends not to ask them. Through a combination of unintelligible mumbling, awkward pauses, abrupt subject changes, and the occasional tantrum, I’d largely succeeded. Only my grandmother remained unflappable. 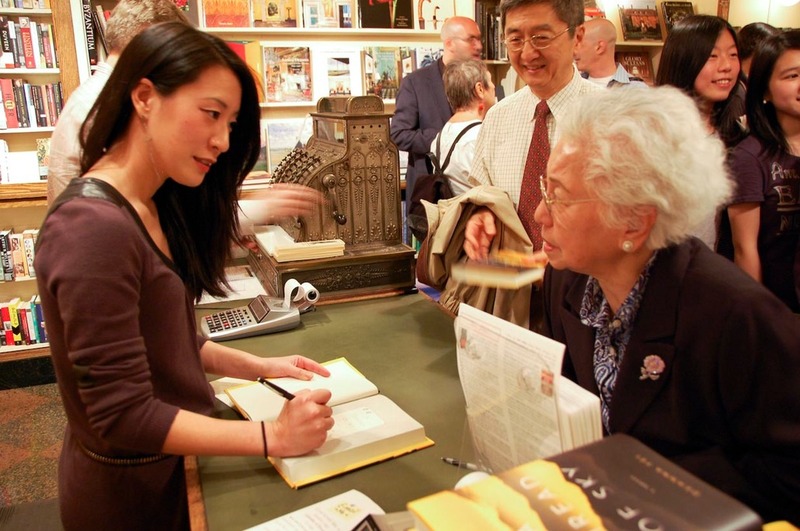 Then, about six years ago, I moved from New York to China to research my novel, the story of a family of Chinese American women who reunite for a tour of their ancestral home. My grandmother deduced that China was, in some way, what I was writing about, and she added a new question to her repertoire. My grandmother had never volunteered her thoughts on China to me. I knew only the barest outline of her life story. Based on that, she seemed an unlikely defender of mainland China. She seemed, if anything, like one of its victims. Born in a Cantonese village, she’d survived warlord feuds, bandit attacks, and the Japanese occupation to become one of China’s first female journalists. When the Communists seized power, she was one of those denounced as Nationalists, elitists, enemies of the people. Forced to flee with four children, she’d rebuilt her life in Hong Kong, Macau, Taiwan, New York, and finally San Diego. I’d never felt I had the right to ask her about China. I could only imagine, and that imagining was partly what had led me to write my novel. After an awkward pause, I mumbled unintelligibly and got off the phone. I was aware that certain images of China—foot-binding, famine, abandoned baby girls, tanks in Tienanmen Square—seem to lodge in the Western imagination and crowd out much that is new and nuanced. And I was aware that Chinese censorship is real and crushing. But I’d never expected it to manifest itself in the voice of my own grandmother—who, if she chose, could certainly tell her own negative tales about China. It became clearer by the day that, as a Chinese American writer in China, I’d stepped into heavily contested territory. I often heard other writers getting branded as “pro-China” or “anti-China.” I heard countless shouting matches over what defined “the real China”: Communist repression or the new capitalism, the booming cities or the impoverished countryside. And never mind the long-standing impasse between the mainland and Taiwan, with both governments claiming to represent all of China. Western expats often asked what theses I was advancing about China; Chinese locals often asked whether my loyalties lay with China or America. Many wondered how I could write about China at all, given that I had no claim on being a scholar or a pundit. All of them seemed dubious when I tried to explain that my only agenda was to explore the country through the eyes of my characters, each of whom resisted easy categorization—as did China. Meanwhile, I was gradually becoming accustomed to a strange clicking on my phone line, parcels failing to arrive, the occasional email vanishing from my inbox. Like many Westerners in China, I had to accept that I was being monitored. I almost wanted to tell the Chinese authorities not to bother. Because every time I spoke to my grandmother, she’d issue the same decree. Her voice now represented all of the voices questioning my right to depict China at all, preempting my every sentence, shrouding me in so much self-doubt that, many days, I censored myself. I couldn’t write a word. In order to write, I needed to tune her out. I needed to remind myself that it’s the duty of novelists to write past polemics, to show complexity and humanity everywhere we look. That the crucial voices were those of my characters: six strong-willed women struggling to reconnect with one another while exploring China through the lens of their histories and personalities, their conflicts and secrets—the way any of us view any country we travel. My novel was about the landscapes of their lives as much as it was about China, and as my characters guided me, chapter after chapter began falling into place. Then, to my surprise, I found myself calling up my grandmother’s voice. At the heart of my characters’ journey, at crucial moments, I realized I needed to tune her in. Not her words, but the feeling behind them. My grandmother spoke not as a mouthpiece of the People’s Republic of China, but as someone who carried some essence of her homeland in her bones. 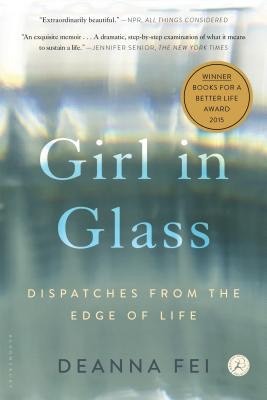 And while China was a vast, ever-shifting, and, to some degree, foreign entity to my characters, it also spoke to something within, to a deep sense of what it means to be Chinese, even in exile, even American-born—a sense that is sometimes contradictory and often charged, a sense that transcends regime changes, geographical borders, and generations. This was the sense that each of my characters was, in her own way, discovering—as was I, along with them—and my grandmother’s voice helped illuminate the path. And so I navigated the three years I researched and wrote my book in China and the next three years of revising and publishing it, all while managing to call my grandmother every Chinese New Year, every Mother’s Day, every occasion when I would’ve been wracked with guilt if I didn’t, even if it was just to face the same interrogation followed by the same admonition. This seemed, in my mind, to constitute some kind of treaty. Then, a few days before my book launch, my grandmother flew into town. She hadn’t said that she was coming for my book launch, only that she would be present at it. I took this to mean that the purpose of her visit was not support, but supervision. When we spoke on the phone, she sounded benevolent, like a prison guard offering a cigarette on the eve of an execution. She said that she was eager to see me and that the book cover was pretty. I feigned a sudden inability to speak Chinese and got off the phone. In a panic, I scanned the excerpt I’d selected for my first reading. It described ragged beggars and worldly entrepreneurs and earnest students, a sandstorm and drifting catkins and starless nights, desperate peasants and gleeful swindlers, the click-clacking of mahjong tiles in a teahouse and the serpentine stretch of the Great Wall, elderly calligraphists in Tiantan Park and young prostitutes in a karaoke club. On the night of my launch, I arrived at the bookstore and heard a familiar voice calling my name. My grandmother sat across the street, waving. I waved back and ducked inside, where I hid in the stockroom until I was called to the microphone. The familiar faces melded into a hushed audience. I opened my book and began reading. All I could hear was my own voice, and through it, the voices of my characters, and through them, the infinite complexity of China. When I finished, there was clapping and congratulating and a long line of smiling people bearing copies of my book for me to sign. My grandmother stepped out of the crowd. For a moment, for the first time in my life, she seemed speechless. At last, she said she hadn’t understood much, but she knew I’d done well, and she was very proud. We hugged. I basked. She pulled back. “What are you writing next?” she asked.